"A convenient substitute for commercial mixes. Quick, easy, and yummy. Best of all, YOU control the ingredients!" For a Yellow Cake: Sift together flour, baking powder, salt, and sugar. Cut in shortening until fine crumbs are formed. Add eggs, milk, and vanilla. Beat at low speed for 1 minute, then high for 2 minutes, scraping the bowl frequently. Pour batter into greased and floured 9x13 inch pan. Bake in preheated 350 degree F oven (175 degrees C) for 25 to 30 minutes. 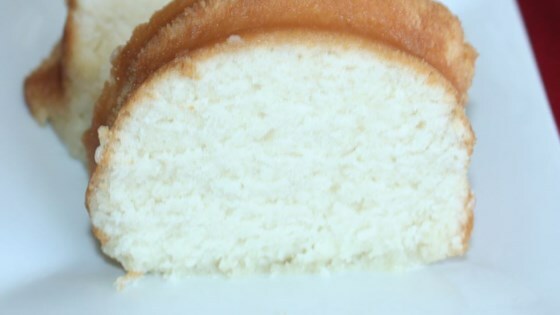 Variation for a White Cake: Prepare as for the basic cake except use 3 egg whites for the 2 whole eggs. Whites may be beaten separately and added for a lighter cake. Variation for a Chocolate Cake: Add 1/4 cup cocoa powder to the basic cake mix prior to adding the milk. Variation for a Spice Cake: Add 1 teaspoon cinnamon, 1/4 teaspoon ground cloves, and 1/4 teaspoon ground allspice to the basic cake mix. Variation for a Pineapple Upside Down Cake: Melt 1/2 cup butter in the bottom of a 9x13 pan. Add 2/3 cup brown sugar, stirring into the butter. Arrange pineapple slices in the pan. Top with the basic (yellow cake) mix recipe. Bake 30 to 35 minutes, cool 5 minutes, and invert to serve. Delicious and easy. I made a lemon cake variation. I used the yellow cake recipe, but instead of 1 cup of milk I used 2/3 cup of milk and 1/3 cup of lemon juice. Family loved it.